The Doctor & Romana find themselves in a drilling town. After a catastrophe has befallen the planet and made it impossible to live above this is now where the inhabitants of the planet live, in vessels like this. As if this wasn’t bad enough they are plagued by the Silex. Once human, they now make everyone like them; spreading their Hive mind. This is a story that reminds me of many others and several other characters. It calls to mind races like the cybermen, from Star Trek the borg & from Battle Star Gallactica the cylons who can hide as humans. The plot of having people living underground & a poisoned planet are also paths that have been trodden in film and TV, for instance The 100, the Time Machine and Gridlock in the Doctor Who world. In the extras we hear how this story is influenced by ‘Journey to the Centre of the Earth’ too. But the thing is when you have so many elements that might seems somewhat familiar they end up somewhere new. Also as important as a good plot is you need a strong characters, this story is so characterful. The fourth Doctor is maybe not as ‘3 words a second’ as he is in some other storie; but he is just as fun, which for me is what the fourth Doctor should be. Romana is written to her strengths too; with just enough cynicism balance with her genuine care for people and scientific need to problem solve. There are also some gloriously British characters in space played by Matthew Cottle, Abigail McKern, Robbie Stevens & Jane Slavin who suggest a wonderful British sensibility from the north might still exist for centuries to come. Not that they are British in this, being on an alien world; but they feel it. 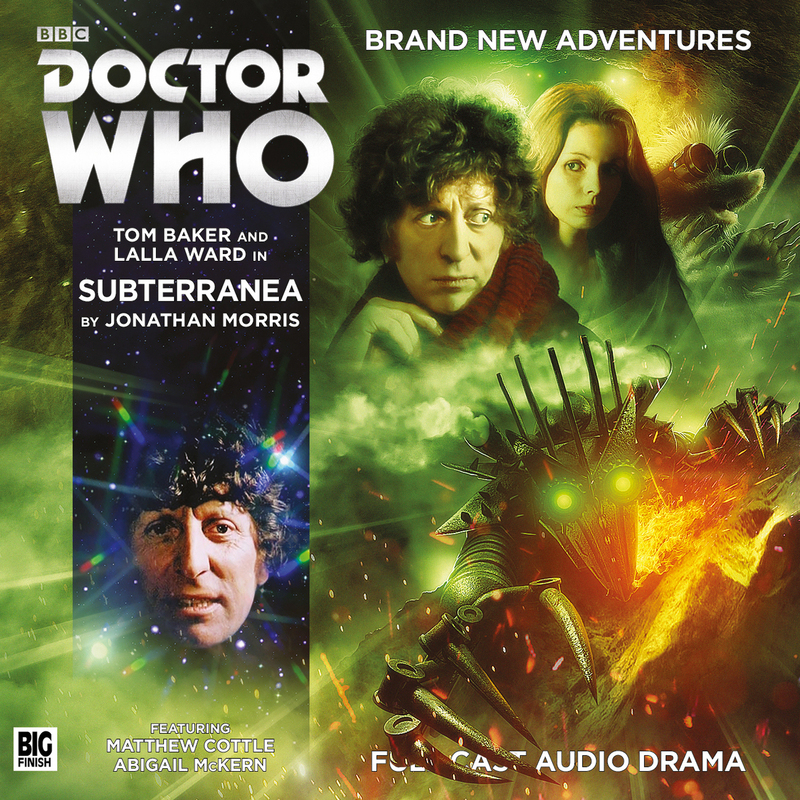 The music is also very good and does indeed call to mind the era of Doctor Who this adventure would fit into. There is something so evocative of this recreation of a style of music from a Doctor Who era when done right and here it is done perfectly. I mean it as a real complement that this is a solid stock bit of Who. You can easily put this one on and just sit back and enjoy. Not over complicated; but very enjoyable.